That's exactly how many episodes of The Monday Graveyard that our pal, Mark Shields, reached yesterday. Think about that....100 episodes. 100 hours plus of music. That's a lot of songs. That's a lot of good songs. Tonight we're going to take a quick look back through some of my favourite episodes and reveal a bit more about the beginnings of MG. It's came a long way since Marks original Wednesday Graveyard series. Slowly morphing into a Monday slot and then advancing to becoming a live show on local radio station Pulse before reverting to an exclusive podcast only series again in recent times due to Mark moving to England. I could waffle on more about the story behind the show but Mark describes the history of it better over on his blog. Instead, to start off I'll take you right to Episode 100. With a playlist containing many MG favourites and featuring the likes of Boc, Tycho, Errors and a lot more, it's a fitting episode for the big milestone. A Fragile X track from the newest Bricolage release, The Outer Circle, closes out the most recent show and there's more to come on the Bricolage front at the end of this post. But for now listen to 100 in all it's glory. I, myself, only became aware of the Monday Graveyard show almost exactly two years ago at the beginning of February in 2014. I was informed by a Pulse radio presenter called Chris Nelms that Mark had intended to play my track "Ya'aburnee" and I was over the moon. Chris had already played a few of my tracks on his own weekly show "Echolalia Radio', a brilliant eclectic selection of music and spoken word pieces. But Mark's show was different, here was a show that specialized in playing the kind of music that I have the most joy both listening to and creating. Electronic, ambient, experimental and drone. I knew I'd be a fan and a regular listener right away. I was unaware at the time that my music would feature relatively regularly on the show or that I'd even eventually pop in and meet Mark for a chat and get to pick some songs on the show myself. Here's a run through a few featured landmark episodes for myself. Episode 11 was the first time Fragile X material was played on the show. It's an all Scottish episode and will always be one I'll recall fondly. It aired on the 10th of February 2014. Four and a bit months later on the 26th of May I was invited by Mark to be a guest on his show and come in to the studio for a live on air chat. We discussed (and aired some music from) my newly released "Haptics" album and talked about the inspiration behind some of my music, touched on my recording techniques and just had a general chat. I won't lie, before I went in I was pretty nervous about it all. Some people have a knack for doing live radio and some don't. I was convinced I would fall into the latter category and stumble and bumble my way through the show whenever I was asked a question. But upon arrival at the Pulse studios I was instantly made to feel more relaxed and comfortable. Mark gave me a tour around the place, made me feel at home and assured me I'd be fine when that On Air signal would appear. I'll forever be thankful for that. You can have a listen to that show and enjoy some conversation between myself and Mark and hear some choice music from the likes of Ben Frost, Phillp Jeck, Oren Ambarchi and more. I have my own mix series called "Cult Zer0es". It's been running for almost 2 years now but is only at episode 17.....a long way from 100! 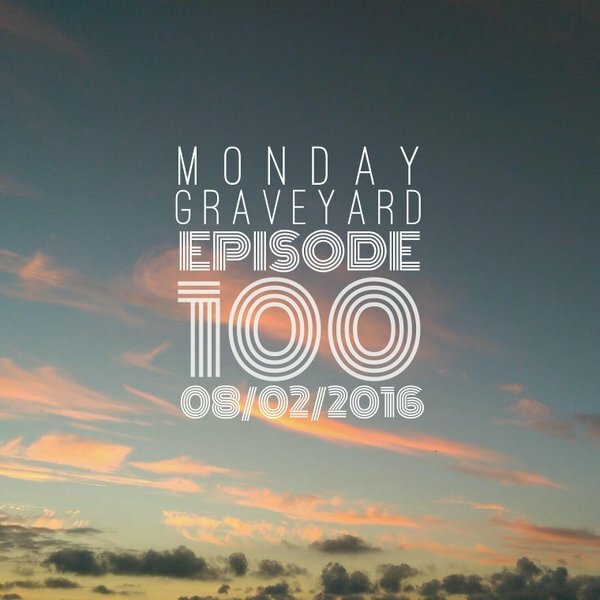 Mark became a regular listener to the CZ mixes and in February 2015 he asked me to contribute a special edition of CZ for the first in his planned guest mixes for The Monday Graveyard show. A seamless hour of back to back music made up of whatever I wanted appearing on a local radio station? I jumped at the chance, I know it sounds cliched but I (like a lot of people) used to make my own favourite playlist mixtapes and be the host of my own made up radio station when I was a wee boy. So I was genuinely ecstatic to be asked to make that mix. I put a lot of time into the mix and produced a session that, I'm not too shy to say, I think is one of the best I've made. It just seemed to flow and melt together when deciding on tune choice and the music overlapping. Again, I'm forever grateful and thankful to Mark for asking to contribute to his show in such a manner. You can listen below. As I mentioned earlier, I've been following the show for just over 2 years and in that time I've been introduced to a lot of new and good music. Every show I would find new artists to seek out and find more about. Here's a list of some of my personal stand out episodes through the years. This particular show was all about DIY labels, micro labels and cassette labels. A true underground feel to it and exposing music that a lot of people might not have otherwise been aware of. A show with a twist. A live police scanner form the LAPD was weaved into the show and created a beautiful concept as it played alongside the usual fantastic music selections. An episode that focused on modern classical composition and also featured some movie soundtracks. This episode was Marks return to presenting live on radio after understandably taking a break from doing live shows due to the birth of his daughter. Part 1 of a Bandcamp special featuring Scyye, Loscil and Owesy among many more. A show that consisted purely of computer game soundtracks, old and new. An excellently put together episode. So now that Episode 100 is here, what's next? Well, Episode 101 of course. Which I'm very proud to say is an all Bricolage special. I've curated and recorded an hour long mix that consists purely of music from Bricolage artists for Marks show. There's sounds from Kure, Slow Deep Breath, get-effect and lots more. I'll keep the final tracklist a secret until it's aired but you can rest assured it's a nice mixture of ambience, experimentalism, electronica and techno. The episode will be out on February 15th (next Monday) and I'll be sure to link it here and beyond when it goes up on the Monday Graveyard online catalogue. 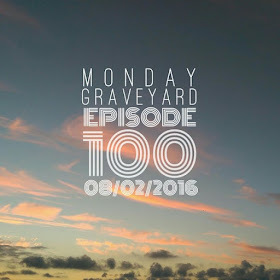 But for now, lets allow the idea of 100 episodes of The Monday Graveyard to sink in again. It's no mean feat to reach such a number and it takes a lot of dedication and effort to consistently produce a thoroughly enjoyable and, more importantly, relatable show. Whether it's been in podcast form or on live radio, knowing that I had/have the The Monday Graveyard to listen to has always made my Mondays that little bit better. Congratulations, Mark, and here's to another 100.